60 million people in Europe are currently living with diabetes. In the UK, new statistics show that the number of people living with diabetes has gone up by 60% in the past decade, reaching over 3.3 million. Importantly, 90% of these cases related to type-2 diabetes, which is typically linked to diet and obesity. Type-2 diabetes refers to a high blood-sugar level, caused by a lack of insulin in the body or an unusually high resistance to insulin, which is used by the body to absorb glucose from the blood and use as energy. As these habits, with the possible exception of smoking, are typically developed early in life, there is a lot you can do as a parent to protect your children from being at risk. Top expat destinations, including Saudi Arabia, UAE, and Oman, are among the countries with the highest incidence of diabetes.. Lifestyle differences in these areas may be a contributing factor, so following health advice in these countries is important to reduce the risk for you and your family. It’s been said time and time again, but one of the best ways to explore a new country is through the food. While I fully encourage this, it does mean that as expats you have to be extra careful in setting a healthy diet and eating habits for your children. This can however be out of your control, especially once your kids head off to school and eat whatever is available to them in the canteen. Depending on what part of the world you are living in, this could be part of the solution or a problem. Exercise is also a great way to lead a healthy lifestyle and reduce your risk of developing diabetes. While it can be difficult to get kids away from the screen and outside these days, there are even ways of using their gadget addiction to encourage it. 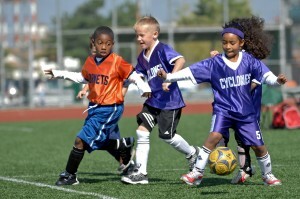 If you’ve just recently moved to your new home, getting your children to join a sports team is also a great way for them to make new friends! 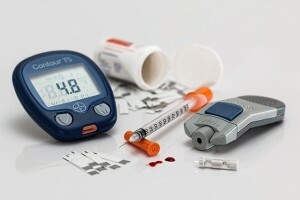 Almost as if in response to the news of the surge in people living with diabetes, a company called Intarcia announced last week that they were close to releasing a revolutionary new form of medication to treat type-2 diabetes. The treatment, which will come in the form of a 12-month implant, is twice as effective at reducing glucose and can triple weight-loss, in comparison to the current leading medication. No matter where you live, be sure to make the most of your life abroad while keeping your family healthy and out of the rising tide of diabetes!